The sunset view of palm trees at the ocean in southern California's Orange County near a beach house is easy going and colorful. Napa Valley in Winter at sunset is full of color with mustard weed in the vineyards. 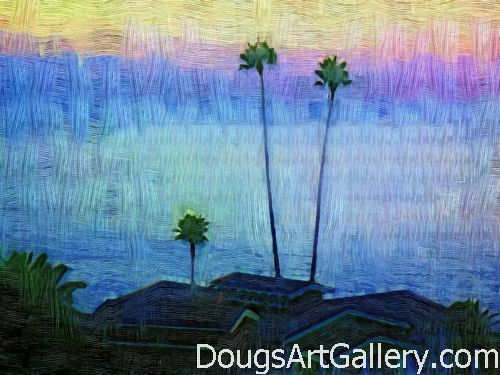 Click here to leave Twin Palms for more links to artists and their online art galleries, art prints and art posters. Browse the links found at the bottom of Home Page.